This is one of my most favorite videos! I was actually driving around, half lost trying to get to a my destination for an interview, when I found this wonderful place. I just had to stop in on my way home. 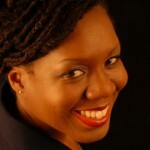 Claudine Williams is an Atlanta-based luxury travel writer and the Editor-in-Chief of the site, Somewhere Luxurious. Claudine has been published in the New York Times, the Huffington Post, Travel + Leisure Southeast Asia, Hotel Chatter, and other distinguished publications. She has a bachelor's degree in Mass Communications and a master's degree in Information Design and Communications.